Buy-to-let properties have been making a steady comeback and numbers of those choosing to invest in this property type are on in the increase. With many benefits, it is easy to see why. With the return on high-rate saving accounts not being very high at the moment, a property can be a great investment. Buying in times of low house prices means that as house prices rise, so does your investment’s value. A property also has the benefit of adding value yourself; buying a run down house and renovating can add a lot of money onto your investment in a short space of time. Renting this property until you are ready to sell is a great way to continue to make money, or alternatively offset your costs, until you are ready to sell for a sizeable profit. Buying a property to let can be a great way to pay off a mortgage on the property faster. Using the money you generate from rent to supplement your mortgage payments, you can become debt free in a short amount of time, leaving you to spend your money in other ways. Remember to check if your mortgage allows you to let your property, or else you may fall foul of the mortgage agreement. Here is a handy tool to check if the rent you charge will cover your mortgage. Many are turning to property rather than a pension for their retirement nest eggs. The benefit of this is that you can borrow money, in the form of a mortgage, to kick start your investment, which you cannot do for other types of investment, such as an ISA or pension fund. As stated above, with a buy-to-let property your rent could off-set your mortgage repayments which makes property nest eggs even more attractive. Charging a higher amount for rent than what your mortgage payments are means that you can actually make money from and pay off your debt at the same time. This extra money could be used to supplement your cost of living, or even used to save for another property deposit. Put off by the tax? Whilst rent is taxable, there are many deductions which a landlord is able to take first. A landlord is entitled to deduct mortgage interest, utilities (when the landlord pays), any money from the rent used to improve the property and property tax. If you end up in deficit after these costs, there is nothing left to tax. The rules are complex and it is important to seek help from a professional in order to determine whether these benefits are applicable to your situation. As discussed above, if you time your buy-to-let purchase correctly and carefully, you can get more for your money. Using any extra money to invest in more than one property will allow you to build your property portfolio. In the short run, this can mean extra income from more than one property. In the long run, you will be securing income for when you are retired. 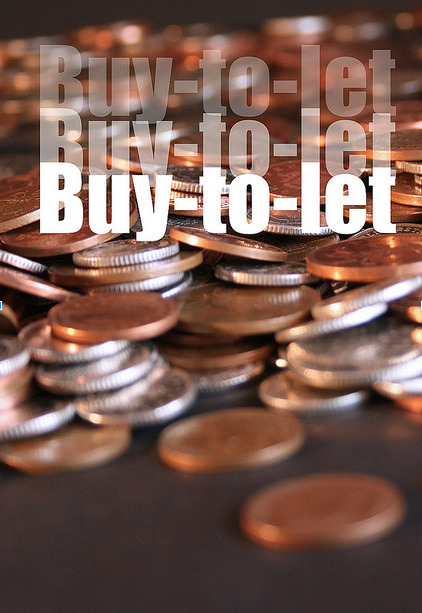 Check out this guide to building a buy-to-let empire. Not only will you help yourself when buying a property to let, you will also be helping wider society. Empty properties have the disadvantage of attracting criminal behaviour, such as arson, cannabis production and more. Buying a property to let can literally drive down crime in an area. With many people not being able to afford to buy their own properties, letting your house could provide a home for family who are still working up the financial ladder. About the author: Mike Low, director of Balgores Property Group in Chelmsford, has over 20 years’ experience in the property market and is a qualified member of the National Association of Estate Agents.